As most of you know, I am a huge fan of celebrating the every day. I love to give gifts. I love to drop gifts off at friends’ houses on a whim. Just a little something to brighten a day. Have you ever had a rough day and gotten a piece of mail or package or something from a friend that just totally turned your day around? It brings me such joy to love on others in that way. 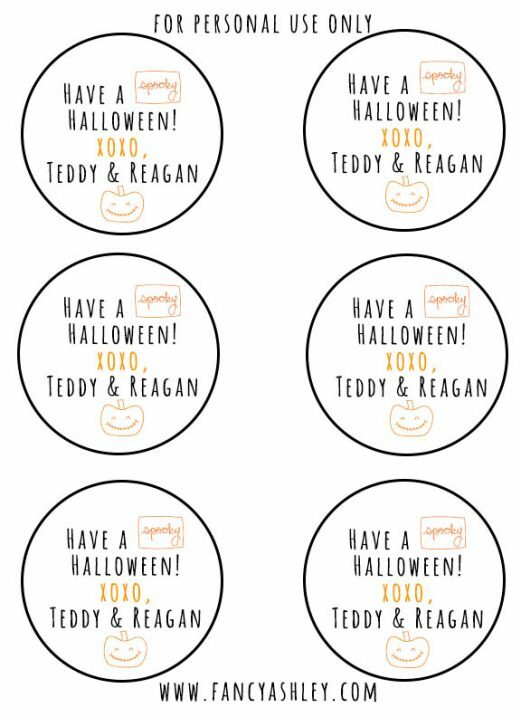 Teddy and Reagan love to do little things for their friends too and I love that this is rubbing off on them. At Christmas time, we deliver these “Cookies for Santa” to our friends (ps, it might sound crazy, but, if you start now on these, you’ll be so ahead of the game, come December!). I first saw these cowgirl cookies on Bakerella’s site, a couple years ago and have incorporated them into Christmas traditions and as baby shower favors. 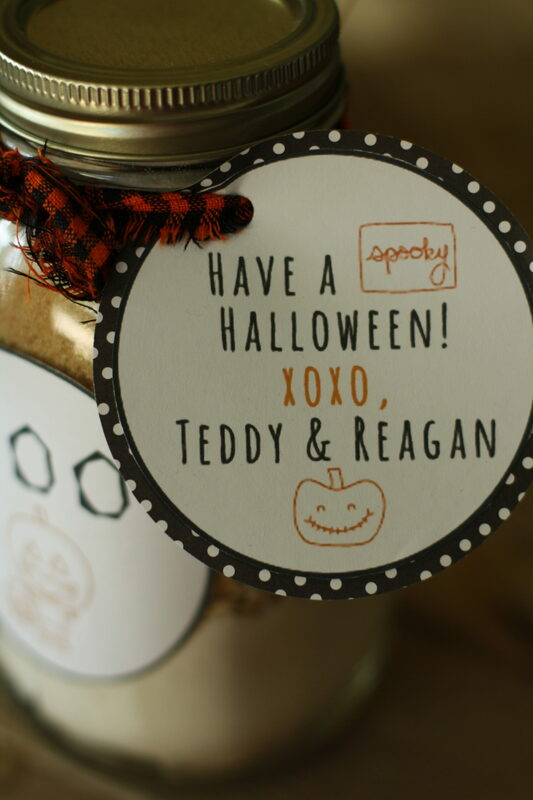 I have wanted to incorporate them into other holidays as well, because I just love how much fun it is. 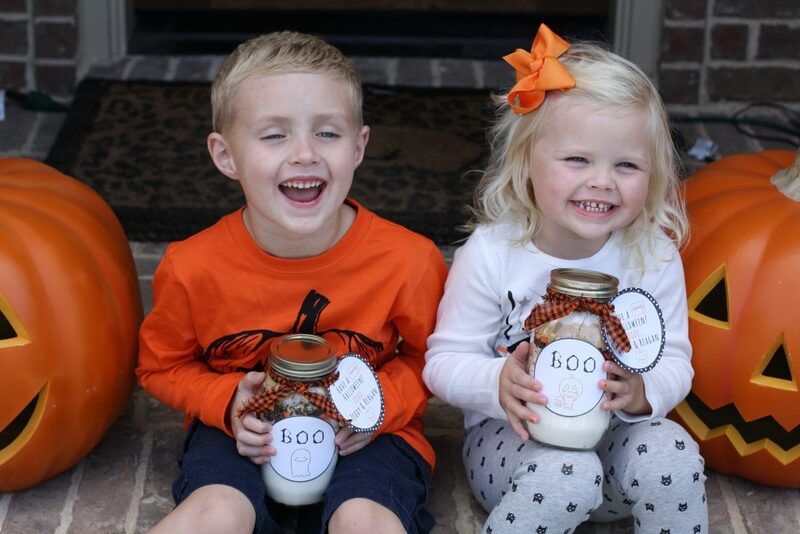 I love the tradition of making the jars together with the little presidents and heading out to deliver them to our friends. 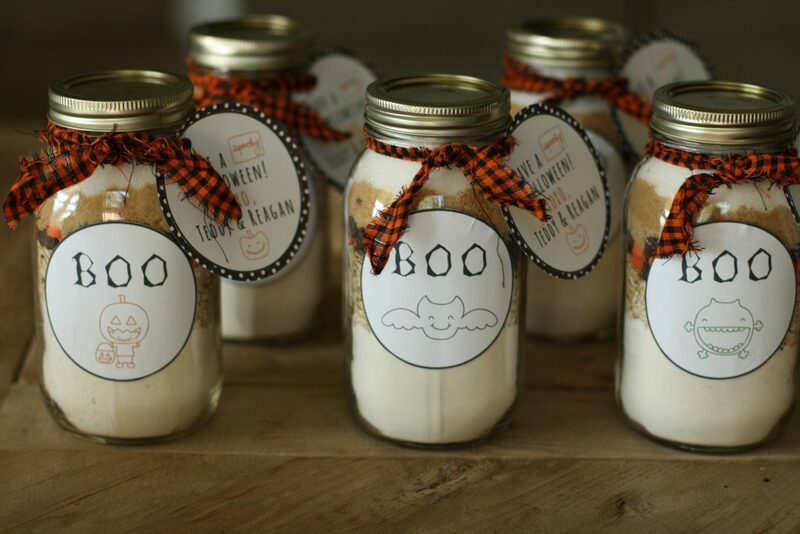 In this instance, we are using these instead of the typical basket of items that people leave on each other’s doorsteps at Halloween time, also known as “booing” or “being booed.” So, this year, our friends will be “booed” with these jars of cookies. 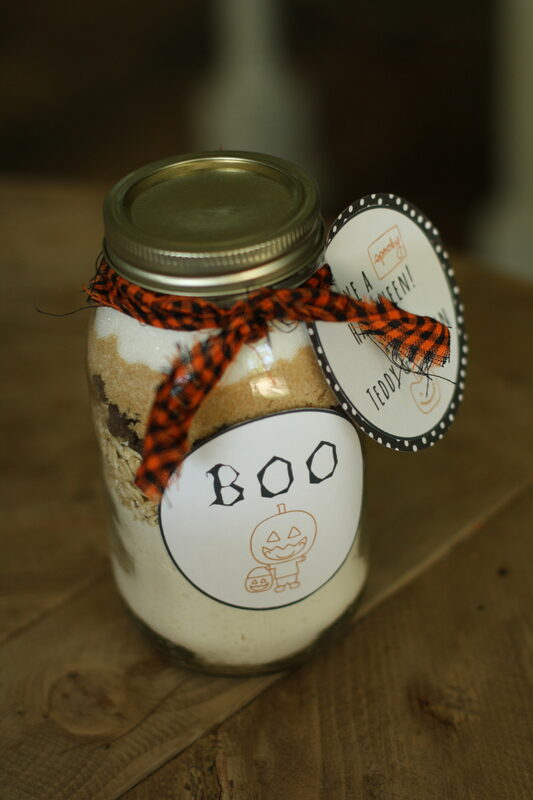 All they have to do is add a few ingredients and bake them and they have a perfect Halloween treat! 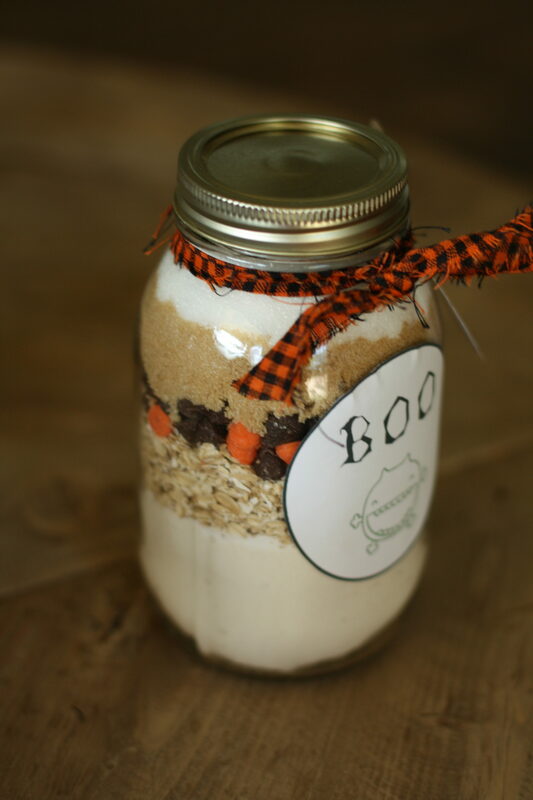 Pack everything in as tight as you can into the jar! 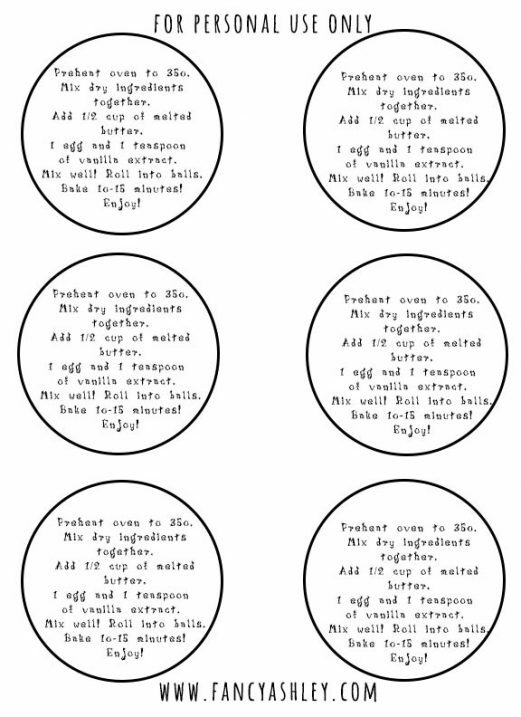 After you have filled your jars, it’s time to attach your stickers and tags! 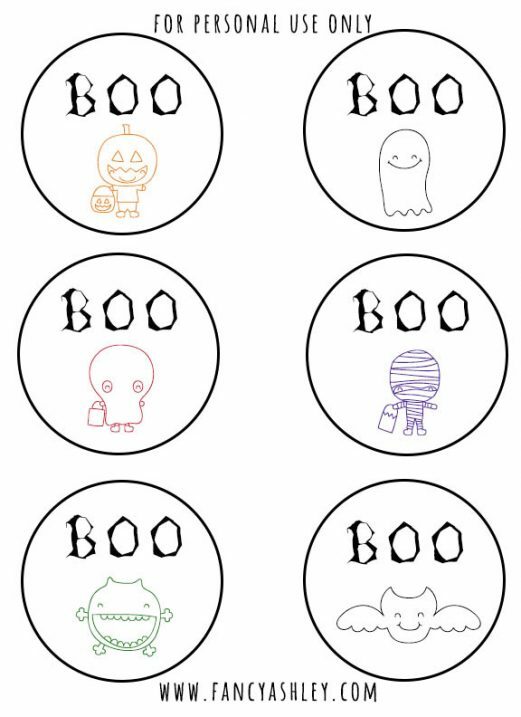 I have included all the printables for you, including the editable version of the above hang tag!!! Hooray!!! To download the stickers and tags, click the links below. You will need be sure that you have Adobe Reader (FREE) installed on your computer to add names to the hang tag. Also, you will need to download the free font, AMATIC to use the same font. 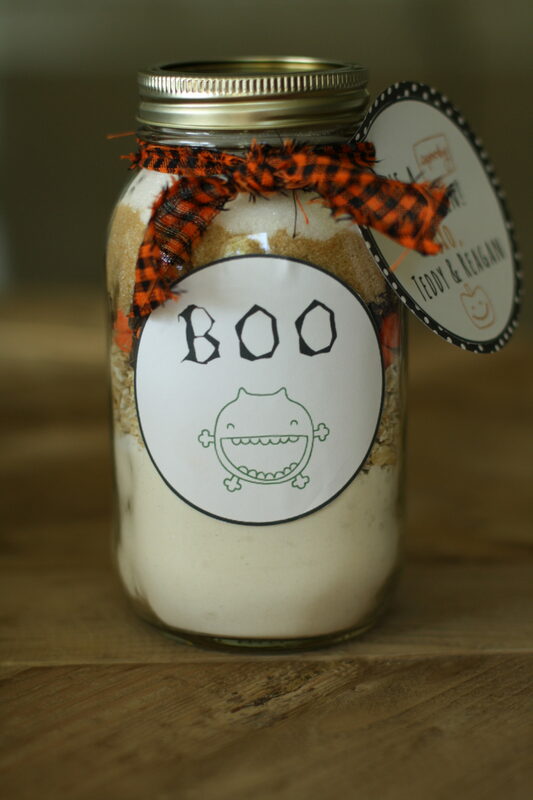 After you finish your jars, head out and “BOO” your friends!!!! Trust me, the kids will LOVE it!!! Don’t forget that my Matilda Jane Trunk Show ends today, so if you want to order anything, be sure to get your order in! You can see the ordering info HERE! Isn’t giving gifts the best?! It’s one of my most favorite things to do too! My closet floor is covered with Halloween gifts for teachers, friends, and classmates! It makes my heart happy to read about your love of gift-giving too! Have a great day! 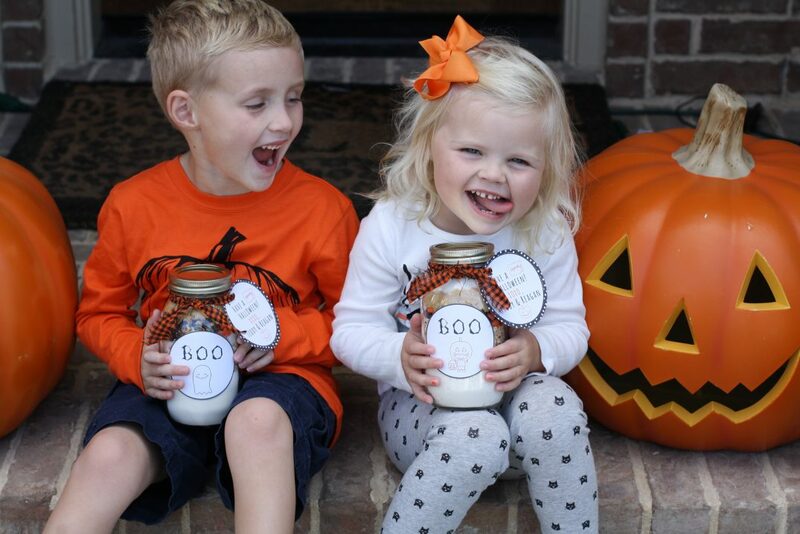 Thanks for such a fun and easy project – I loved delivering these to friends.